The exciting and ever entertaining Yaris comes with the convenience and comfort you need, all in a fun-sized package. 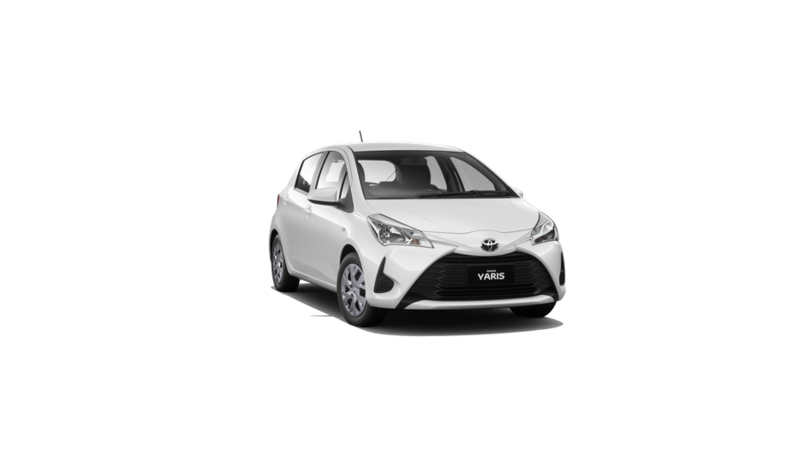 So whether it's your daily commute or a weekend at the beach, Yaris has you covered. [B5] Bluetooth® is a registered trademark of Bluetooth SIG, Inc. Compatibility and functionality varies depending on device. [D1] Recommended driveaway price (RDP) shown is applicable for Private customers, Bronze, and Silver Fleet customers, and primary producers, only at participating dealers. Offer available on new January 2019 to April 2019 built models purchased between 01/03/2019 and 30/04/2019 unless extended. RDP includes 12 months registration, 12 months compulsory third party insurance (CTP), a maximum dealer delivery charge and stamp duty. Metallic/Premium paint at additional cost. Toyota reserves the right to amend the offer and terms at any stage. [S1] Driver assist feature. Only operates under certain conditions. Check your Owner’s Manual for explanation of limitations. Please drive safely.